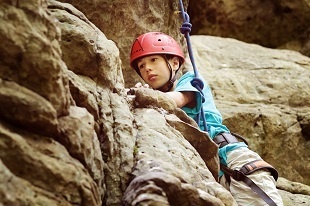 As an outdoor adventure summer camp we give our campers the opportunity to challenge themselves rock climbing every day! We have real rocks on the camp property called Donational Rocks and they are the premier climbing destination in central PA. If you have only climbed on indoor climbing wall then you are in for a real treat once you experience the trill of climbing on real rocks. If you rock climbing is something you have interest in or something you are passionate about, Stone Mountain Adventures is the camp for you! Whether you desire to bike on roads alongside beautiful Amish farmlands, rally through miles of single track trails, or take advantage of the shady Rails-to-Trails path which winds along a cool river, this area offers some of the best biking conditions in the Eastern United States. With the development of the Allegrippis trail by the International Mountain Biking Association (IMBA), this area has become a mecca for mountain biking. We also offer a biking program for campers who want to take advantage of our proximity to the Allegrippis Trail & ride almost every day, we call this the Mountain Bike Masters Program. 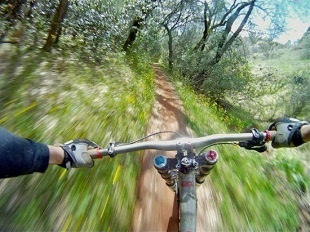 We offer a complete riding program at our outdoor adventure teen summer camp. 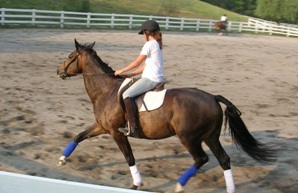 All aspects of horsemanship are covered, from learning to comfortably sit atop a horse to instruction for dressage. All campers will have the opportunity to ride during the summer. If you are serious about learning to ride, our Horsemaster Program is just what you are looking for! 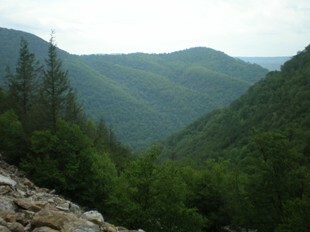 With literally hundreds of miles of hiking near camp we take the opportunity to go explore the natural world.